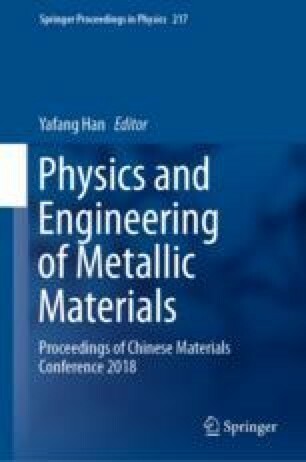 This work investigated the effect of boron addition methods on microstructure and mechanical properties of a near-α titanium alloy. Ti–6.5Al–2.5Sn–9Zr–0.5Mo–1W–1Nb–0.25Si was used as the matrix, and 0.3 wt% TiB2 and 0.1 wt% B were added, respectively. The results show that the addition of trace boron forms TiB whiskers on the prior β grain boundaries and leads to significant refinement of the microstructure in the based alloy. And, the refining effect of the 0.3 wt% TiB2 and 0.1 wt% B on the base alloy is similar. At room temperature, the strength of the boron-containing alloys has a certain increase, but the elongation drops slightly. Through study on the microstructure of tensile strained specimens, it was found that the increase of tensile strength of the boron-containing alloys is the combination of the base microstructure and the whisker bearing, while the ductility drops significantly is mainly attributed to the cracking of TiB phase.